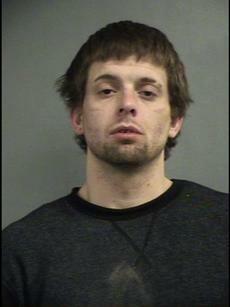 A Louisville man faces theft and drug charges after allegedly stealing a camper from a home in the Cox’s Creek area. Matthew C. Neidig, 30, was arrested Thursday afternoon when Louisville Metro Police Officers received report of a stolen vehicle parked in the 2000 block of West Main Street. According a police report, Neidig is accused of removing the camper’s license plate and replacing it with a different one. During his apprehension, officers found him to be in possession of a large amount of money and drugs consistent with trafficking. Neidig was arrested and charged with receiving stolen property $10,000 or more, second-degree fleeing police on foot, trafficking in heroin, possession of meth, obscuring the identity of a machine and tampering with physical evidence.